John Edward (Ted) Doig was born in Letham, Scotland on 29th October 1866. He played in goal for Arbroath in the Scottish League. On 19th February 1887 he won his first international cap playing for Scotland against Ireland. Scotland won 4-1. His second game was also against Ireland in March, 1889. This time Scotland won 7-0. One of the people watching this game in April 1889 was Tom Mitchell, the secretary of Blackburn Rovers. He was looking to strengthen his side by buying the best players from Scotland. Mitchell persuaded Doig to join Blackburn. In doing so, he brought an end to his international career as at this time Scotland did not select men playing in England. Doig replaced Herbie Arthur, the former English international, in the team. However, Doig found it difficult to settle and after playing only one game he returned to Scotland. Doig was suspended by the Football League and as a result he was illegally signed by Sunderland. His first game for his new club was on 20th September, 1890. As he was not officially registered as a Sunderland player the club suffered a deduction of two points. Doig retained his place in the team for the whole of the 1890-91 season. He also played in every game the following season. That year Sunderland won the Football League championship and reached the semi-final of the FA Cup. William McGregor described Sunderland as having a "talented man in every position" and as a result they acquired the name the "Team of All Talents". 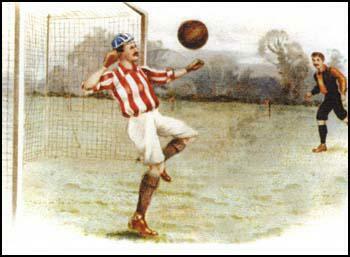 Painting of Ted Doig playing for Sunderland. Sunderland retained the championship in 1892-93 and were runners-up to Aston Villa in the 1893-94 season. Sunderland were also champions in 1894-95. Doig did not miss a Football League or FA Cup game between 20th September 1890 and 9th September 1895. Doig, who always wore a cap to hide his baldness, won back his place as Scotland's goalkeeper. The first of these international caps was against England on 4th April, 1896. A crowd of over 50,000 saw England's record of twenty consecutive wins brought to an end when the Scots won 2-1. 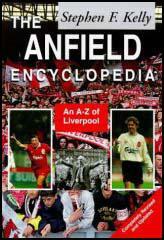 In 1904 Doig was transferred to Liverpool for a fee of £150. During his time at Sunderland he had played 417 games for the club. In his first season with the club he helped them gain promotion to the First Division of the Football League. 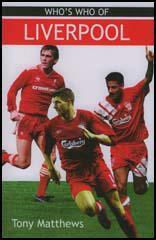 Doig played the last of his 51 games for Liverpool at the age of 41. He then spent two years playing for St. Helens Recreationals in the Lancashire League. Ted Doig died of influenza on 7th November 1919. John "Teddy" Doig succeeded the long serving "Stonewall" Kirtley as Sunderland's goalkeeper. Kirtley made a number of blunders in the opening games, and was blamed for a heavy defeat against Wolves. His replacement was brought in rather quickly though, and was unregistered in his first match and Sunderland were deducted two points as a consequence. Indeed, the whole manner of his arrival was surrounded in controversy, for he had signed for Blackburn but then walked out on them after one game - perhaps Sunderland had made him a better offer - and was duly suspended.